Europe is awash with refugees. Separated from the calm shores of Europe only by a sea, thousands of desperate men, women and children from the war-torn West Asia and the internal-strife-and-violence-prone North Africa braved the elements of nature and sailed or swam across the Mediterranean since 2014 to take refuge in the relative safety of an alien land of mainland Europe. According to an estimate by the International Organization for Migration, over one million refugees had arrived in Europe by sea and about 35,000 by the land route last year. All of them had experienced a harrowing ordeal in the course of their arduous journey to safety and security. Hundreds of their family members and companions had perished in the sea before their own eyes when the dinghies or small boats carrying the ill-fated refugees capsized; many others succumbed to hunger and extreme weather conditions on the way, children and women being the most vulnerable segment of those who failed to make it to their destination. The situation reached alarming levels when five boats carrying as many as 2,000 migrants to Europe sank in the Mediterranean Sea, and the combined death toll likely to be more than 1,200 people. It is estimated that, in all, 3,700 people died or went missing in 2015, trying the hazardous journey, with another 2,510 suffering the same fate in the first five months of this year. The photograph of the lifeless body of Aylan Kurdi, a three-year-old Syrian boy who had drowned in the Mediterranean, that was washed ashore on the Turkish coast of Bodrum on September 2, 2015, contributed in no small measure in speeding up the review of its refugee policy by the European Union. The previous year had also witnessed the migration of thousands of refugees, although lesser in number. By June 2016, about 1,56,000 refugees had crossed into Europe, according to the United Nations High Commissioner for Refugees (UNHCR). The overall refugee situation posed a challenge to countries like Hungary, Sweden, Germany, etc, which had initially started receiving the hapless visitors in trickles and subsequently in hundreds and thousands. With the affected countries being far from prepared or willing to cope with the flood of refugees, Europe was faced with the moral dilemma of how to curb and regulate the human tides, if not completely shut its door on a poor vulnerable segment of people, representing the underbelly of a misfortune and misery of man’s own making. Riding the crest of a wave of stiff opposition from her local political detractors, Chancellor Angela Merkel of Germany called for quotas to be fixed for each European country to take a share of the displaced people, including from Syria. This led the European Union to step in to work out a formula acceptable to all its member-States for distributing the influx in some equitable manner. However, the EU formula of distribution of the refugees came in for heavy criticism from former French President Nicolas Sarkozy, who compared the EU migrant plan with mending a burst pipe by spreading the water around the house while leaving the leak untouched. Chancellor Merkel, however, warned that freedom of travel and open borders among the 28 member-states of EU could be jeopardized if they did not agree on a shared response to the crisis. She was criticized by Sarkozy who said that it would attract an even larger number of people to Europe, where a major part would “inevitably” end up in France because of EU’s free movement policies as well as the French welfare state. 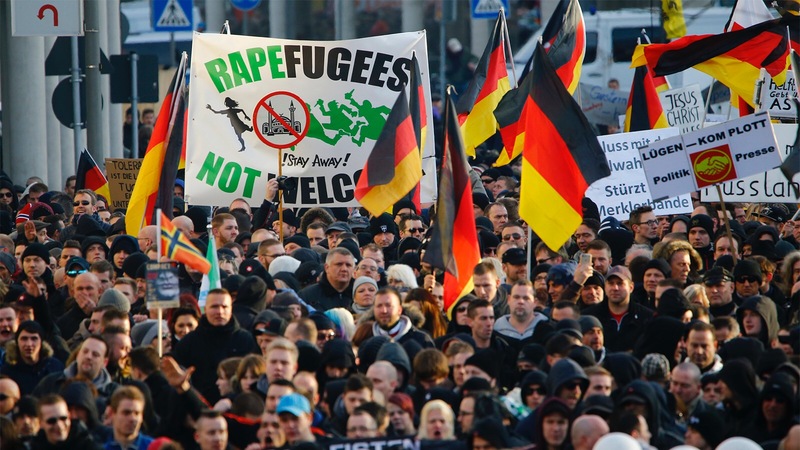 There has, in fact, been no dearth of anti-refugee rhetoric throughout Europe. Meanwhile, Germany, Sweden, and Austria, which had taken large numbers of refugees, came in for intense criticism. Unlike Germany which was prepared to take what was perceived as its fair share of the refugees, eastern European neighbours Hungary, Greece, Macedonia, etc were wary and reluctant to accept torrents of refugees and put up fences and barriers to check their unregulated entry. Germany had taken up 98,700 refugees from Syria alone as of September 2015. Vice Chancellor Sigma Gabriel was quoted as saying that there could be 800,000 applications for asylum in Germany in 2015, and the country could take 500,000 refugees annually for several years. Germany was followed by Sweden, Denmark, and the UK. Other European countries like Spain, the Netherlands, Austria, Switzerland, Bulgaria, Italy and Greece also received applications for asylum from several thousands of refugees from Syria and the other disturbed countries in the Middle East and North Africa. The easiest option for a destination for the displaced persons from Syria and Iraq was, however, the neighbouring Turkey, which was flooded by 1.9 million refugees, with 14% of them sheltered in refugee camps. According to a UN estimate, Greece alone had accounted for over one million arrivals out of the 1.2 million refugees who had sought asylum from the EU countries. Matters were precipitated when over 40,000 refugees who had arrived in from Turkey were marooned in Greece, with its neighbours having closed their borders. Eventually, an ambitious plan of resettlement of the refugees was worked out between the EU and Turkey in Brussels in March 2016. In terms of a controversial agreement hammered out at the summit, all migrants and refugees arriving in Greece beyond March 30 this year would be returned to Turkey. Thanks to her liberal policy of taking large numbers of refugees, Chancellor Merkel experienced a setback to her position both within Germany and as a doyen and unchallenged leader in EU. Germany and France have become estranged over the issue. 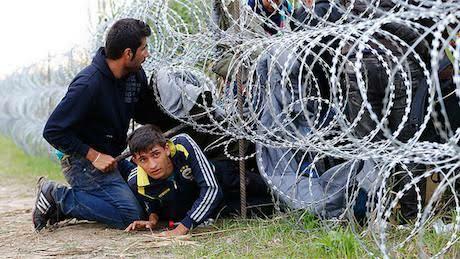 The East European countries have put up fences and barriers, effectively closing the Balkan route for refugees. This is in stark contrast to Merkel’s mistaken belief that Germany’s generosity bug and open border policy would positively influence the refugee policy of the other EU states. Merkel had announced more intake of refugees and provided for €6 billion in emergency aid. Germany had, in brief, undertaken a moral leadership role, which had taken a severe beating from the other EU states that assumed a stance of pragmatism rather than generosity in the refugee issue. Fortunately for Merkel, the contentious refugee resettlement agreement between the EU and Turkey, wangled out by the former by means of tiresome and tedious rounds of diplomatic maneuvers, came as a face saver. Notwithstanding the fact that the EU had tried hard to come to grips with the issues like national security, terrorism, etc that flew from the refugee crisis, the absence of a solid legal foundation for a harmonized immigration and asylum policies, proved too inadequate for it to handle the crisis. The member-states, which had asserted themselves and demanded autonomous powers in this area, had only themselves to blame. In any case, even as the dust of the individual and collective efforts of the EU member-states to tide over this round of the refugee influx settles down, the nightmarish scene of more such waves of refugees emanating from Syria for some more years and even decades rears its ugly head. As of early 2016, Syria itself has been home to some seven million displaced persons, while Lebanon, Jordan, and Turkey had over four million Syrian refugees. All these desperate people are likely to attempt to enter Europe, which would pose a much harder task for the EU to tackle when it happens, than this time around. Meanwhile, after overcoming the diplomatic wrangling during the last one year, these EU member states now have to attend to the residual task of settling down the refugees who are already there within their national borders and also ensure their integration into the wary nationalist society, which eyes the hapless newcomers with mixed feelings. Furthermore, they are saddled with the possible unenviable task of having to repeat their efforts with more attendant problems and difficulties during a foreseeable period, year after year. After all, despite the persistent diplomatic efforts by the international community with the involvement of major stakeholders in the issue, there is no telling when the Syrian crisis is likely to end. Apart from the humanitarian aspect attached to the issue, why do the European countries go to great lengths to accept the refugees from the Middle East at considerable political and economic costs? The UN’s Refugee Convention of 1951, which had laid out the process of claiming and granting asylum and the subsequent 1967 Protocol relating to the Status of Refugees, have ingrained in them a clause relating to the duty of “non-refoulement” – which says a country can’t force refugees to return to a nation where they could be at risk. Every European country, whether it is a member of the EU or not, is a signatory to these treaties and is, therefore, legally bound to accept the refugees from the Middle East facing a grave threat to their life. Notwithstanding these accords, which are based on international law, and the European Council’s decision to redistribute the refugees among the continent, Britain has dragged its feet to accept a far lesser number of refugees than the other EU member-states and European countries like Norway and Switzerland, which are not members of the EU. Britain had also invoked the Dublin Regulation to deport over 12,000 refugees to the first country of their entry into Europe. Now with the Brexit having happened, Britain will cease to be a member of the EU in two years time, and it will be unable to take recourse to the Dublin Regulation. In any case, the EU is contemplating revision of the Dublin Regulation and imposition of penalties on its member-states, which have not accepted the number of refugees allocated to them under its redistribution formula. At present, it is not very clear how Brexit would affect the issue of refugees in Britain and which policies of free movement Britain would follow concerning the refugees. The new British Prime Minister Theresa May had called, in her previous capacity as Home Secretary, for Britain to leave the European Convention on Human Rights (ECHR), which is separate from the EU and gives asylum seekers increased appeal rights and legal protections, particularly against forced removal. With such developments as Brexit and the call for quitting the European Convention on Human Rights, Britain could no more be considered a safe haven for refugees, although it had never claimed or pretended to be that. What is of a worrisome concern is how the European Union leaders, primarily nationalistic politicians of their respective countries dependent on national elections for their political survival, look at Brexit. According to Alexander Betts, Director of Oxford University’s Refugee Studies Centre, Europe’s politicians will look at what has happened with Brexit and probably recognize that there are votes to be garnered by exploiting the sentiments of fear and alienation, and scapegoating the EU and immigration. A disturbing factor indeed which indicates that there would be trouble ahead for refugees and asylum seekers if Eurosceptic right-wing political parties in other European countries like France, Denmark, the Netherlands, and Austria, rise to the fore on the lines of Britain, leading to further fragmentation of the EU. As such, the moot question is whether Brexit would lead to a lesser collective commitment on the part of the remaining member-states of the European Union. The fissures in the ineffective EU, which had failed to address the refugee crisis successfully, came to the fore more than ever in a recent media interview by Austrian Foreign Minister Sebastian Kurz who said that Europe could collapse because of the refugee crisis and uncontrolled immigration. In the harshest criticism of EU’s refugee policy yet, he denounced the policy as a “dramatic failure” and blamed it for the outcome of the UK’s referendum on whether to continue within the Union. The refugee crisis has now become an emotional issue for the people in Europe, and it has eventually had a crucial impact on the outcome of the British referendum, he said. He further added that the unlimited acceptance of refugees, coupled with the incompetence of the EU, was in the meantime shaking the very foundations of the European Union. Such indictments hardly bode well for the solidarity of the European bloc, noted for fissiparous tendencies running deep over the divisive refugee issue. In the meanwhile, Austria has tightened measures in the name of national security. It introduced border controls and deployed troops to the border with Italy. It even contemplated closing the Brenner Pass in the Alps by constructing a fence of around four meters height, causing concerns among Italian politicians. It passed a law which allows the government to prevent refugees seeking asylum if their levels posed a threat to national security. It further imposed a refugee cap, restricting the number of applications for asylum that can be processed to 80 a day. Certain parts of Austria reduced the quantum of welfare allowance payable to the refugees who are already in the country, compared to the allowance paid to the locals. Foreign Minister Kurz further reiterated his earlier proposal of sending all refugees coming illegally into Europe back to their nations of origin or to special camps in the transit countries. A very real hardening of stance indeed! With a pall of gloom and uncertainty already hovering precariously over the head of the refugees, any domino effect that Brexit and the hardening stance of Austria might have on the other European countries, would as surely turn the tide against the refugee boat as the divisive issue would knock the bottom out of the political fortunes of the European states. This entry was posted in blog on August 10, 2016 by admin. Countries that were once rich with oil and other resources are today fighting for even very existence of men and women. This is a state of emergency, humanitarian efforts must be doubled to help people in crisis. After the first and second world war many European people fled to countries in Middle East and Asia and Africa. Today when the reverse is happening, they are not ready to co-operate. It is sad that so many refugees have died in the sea while crossing the mediterrarean in hope of new lives. People and governments should take responsibility and come forward for aid of people. Turkey is just a buffer zone for NATO and America to keey fundamentalists of Arab countries somewhat away from Europe. Even Turkey president is a strict Islamist and right wing man, why do EU and NATO back him then? Unless countries that are politically unstable areleft on their own to managed by local people this will continue. US should back out from Afghanistan, Iraq and Syria so that people can sort their differences among themselves. The picture of that dead little boy Aylan created a stir in international media for a few days. But did any improvement happen? Are EU countries accepting asylum seekers? This is sad state of affairs. United Nations is a torn out institution today. Their help reaches only those countries that favour UNSC members. It is time to create a new union of world countries. The entire situation has been created by United States, a country that wants to create turmoil in other countries to maintain its hegemony in the world. US should now open doors to all refugees. It was the biggest mistake to initiate military action in Iraq and Libya by US backed forces. So today, they are suffering politically as well as finnacially. Libya was better as a monarchy. Hello th?r?. I could have sworn I have been to your blog befo?e but after browsing through a few of the posts I realized it i? ne? to me. Regardless, I am certainly ha?py I ?tumbled upon it an? I will be book-marking it and checking back r?gularly.